Another Joy For Joyciline Kepkosgei – Smashing the 10km Road World Record | JustRunLah! If you haven’t heard about Joyciline, she’s a big name! Back in the early of the year, she smashes 4 road World Records in 1 race. Joyciline ran splits of 5K in 14:53, 10K in 30:04 (previous record 30:21), 15K in 45:37 (46:14) and 20K in 1:01:25 (1:01:40) and completing the half marathon course in 1:04:52 – breaking the 10km, 15k, 20km and half marathon world records back in Prague! And, she does it again! 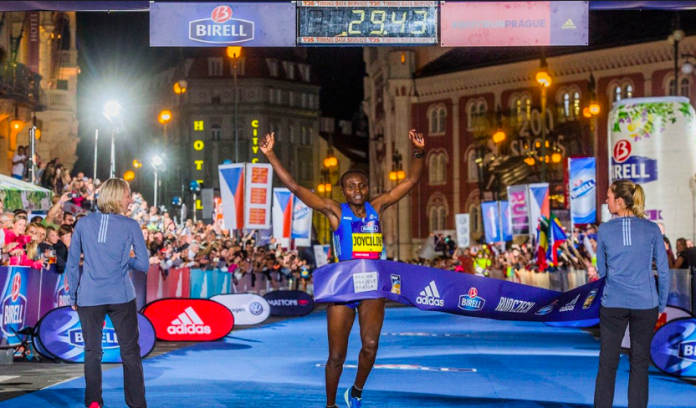 Kenyan Joyciline breaks her own 10km road World Records, dipping under 30 minutes. 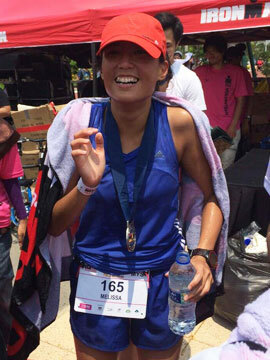 She became the first woman to run a 10km distance under 30 minutes off the track. 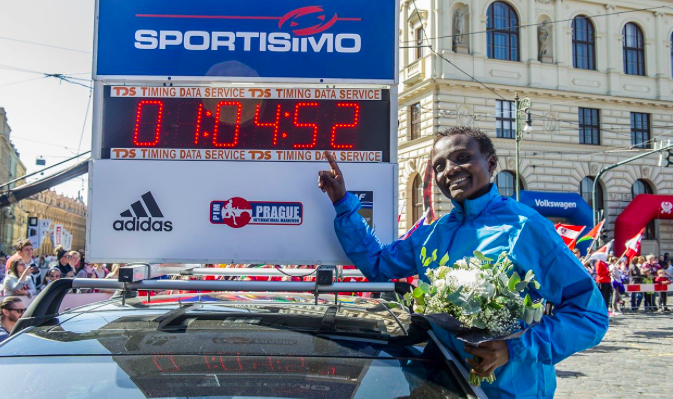 The 23 year old ran a 29 minutes and 43 seconds at the Birell Prague Grand Prix to eclipse her previous record of 30:04 set in the Czech capital in April. It does seem Prague is her charm! Note that the current 10,000m world record is held by Alma Ayana who destroyed the previous world record in Rio Olympics 2016. She ran a 29:17.45 on track. Road and track records are kept separately!